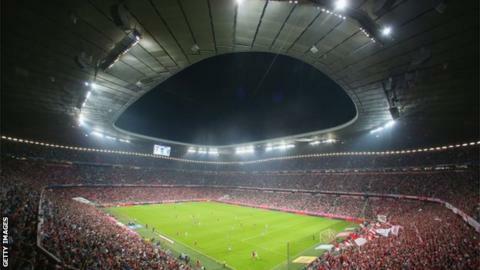 Bayern Munich have paid off all the costs of their Allianz Arena more than 15 years ahead of schedule, meaning they have more money to make signings. The club moved into the £235m stadium, which now holds 75,000 fans, in 2005. Chief executive Karl-Heinz Rummenigge told the official club magazine: "The revenues from the Allianz Arena can soon be invested in the team." Former club president Uli Hoeness has previously said it would free up £20m more in their playing budget. Rummenigge added: "We have financed the entire stadium privately and for that we took exactly 346 million euros into our hands in 2005 with a financing plan to 2030, so 25 years. "Now we have paid off the stadium completely after nine-and-a-half years."